Riannon McLean, Michelle Barnett, Elise May and Jack Ziesing. Photo: Dylan Evans. Riannon McLean and Elise May. Photo: Dylan Evans. Michelle Barnett and Elise May. Photo: Dylan Evans. Natalie Weir originally created Carmen Sweet for a gala performance with the Queensland Symphony Orchestra. It was subsequently developed further and taken by Expression’s Dance Company (EDC) on tour, including critically well-received performances earlier in 2013 as part of Singapore Dance Theatre’s program "Ballet Under the Stars". Carmen Sweet is not a radical re-treatment of the traditional story of Carmen. Instead Weir focuses on the central protagonist and the different aspects of Carmen’s psyche that comprise this complex character. Therefore, the linear development of the drama is abstracted by the presence of three dancers as Carmen, each exploring a different facet. Sitting on a framework of solos and duets, the movement is vintage Weir, carving shapes in the air like a sculptor’s chisel – clean and precise, but also lusciously evocative. Elise May in a black, floor length skirt and bustier top (designed by Bill Haycock), opens the work seated on an evocation of Salvador Dali’s famous red-lipped Bocca sofa – the only set piece, which is moved around the stage at different times. Depending on your reading, this referral to what is an iconic symbol of the Dadaist and Surrealist movement could be seen as stylistically at odds with the rest of the work, which has nothing of the surreal about it. However, as a frame for the dancers it works well and also as a symbol of seduction, considering the original was modelled on the lips of Mae West. Of the three dancers May most perfectly captured the seductive, strong-willed and manipulative Carmen. May is a wonderfully expressive dancer, able to embody both the fragile, as well as the strong and dominating. Physically taller than the others, she easily commanded the space with chiselled but sinuous movement, oozing smouldering tension. New EDC recruit Michelle Barnett is developing artistically with every season. As the coquettish Carmen she was also technically on top of the demands of Weir’s choreography, which requires clarity and precision as well as strength and control to look its best. The duets positively sizzled with unbridled passion. Riannon McLean, in her last season before retiring and Jack Ziesing (Don José) mesmerised in a series of effortlessly suspended lifts and throws. I found McLean’s facet of the Carmen character less clearly defined, but that did not distract from what was another compelling performance. After seven years her presence will be missed on the EDC stage. Daryl Brandwood, bare-chested in a gold coloured, floor length gauze sarong, made an exceptionally nimble Fortune Teller, however the inclusion of ten, rose-carrying supporting dancers in Benjamin Chapman’s otherwise grand and rather tongue-in-cheek entrance as Escamillo was a distraction. I understand the rationale for its inclusion – it is an innovative way of engaging the local dance community when touring. Weir uses Rodion Shchedrin’s Carmen Suite, his 1967 arrangement of the Bizet score, where only strings and percussion create a witty but rhythmically dynamic interpretation. Originally created for a ballet, its well-known rhythms tend to dominate in parts of this work, neither at one with, nor extended by the contemporary styled movement. The more lyrical sections of the score were where movement and music came together best. Carmen Sweet marks Expressions Dance Company’s (EDC) return to Queensland Performing Arts Centre’s (QPAC) smaller more intimate Cremorne Theatre after many years absence. (I saw my first, and I think last, performance by the Company there in 1996). 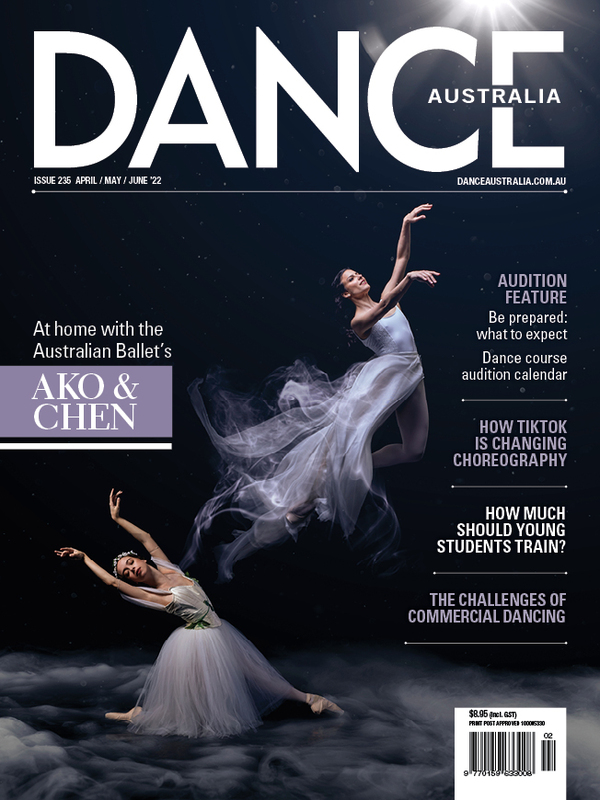 With annual performances also at the larger Playhouse, EDC’s profile at the main hub of performing arts in Brisbane is expanding, which can only be a good thing for the Company.